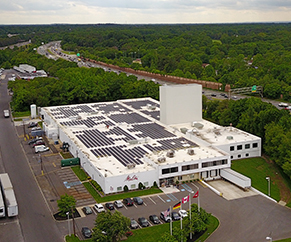 Headquartered in Toronto, Ontario, Melitta Canada is part of Melitta North America. 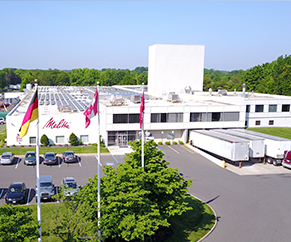 Melitta Canada is an operating division of the privately held Melitta Group of Minden, Germany. For over 100 years, everything Melitta has done has been done with one goal in mind... to make the perfect cup of coffee so you can make the most of that ten minutes you set aside just for you. From our premium and super-premium line of gourmet coffees, our coffee filters, and our promise to using only premium coffee beans, Melitta makes coffee indulgence part of everyday life. In the pursuit of that perfect cup of coffee, we've completely revolutionized the coffee industry again, and again, and again. In fact, the coffee industry didn't even know what a coffee filter was until we invented it in 1908, completely revolutionizing the way coffee was brewed. Since then, we've introduced the world to a number of other industry firsts. Such as vacuum packed coffee packs and more recently the bamboo coffee filter. As the years past we've continued to lead the industry with one invention after another. And of course we always use only high grown premium coffee beans - the very best coffee beans in the world. We proudly continue to offer the very “best-of-the-best” gourmet coffee beans with our super premium World Harvest Coffee Collection - the very epitome of indulgence. All of them are 100% Fair Trade certified, which means Melitta and its customers support a better life for farming families through fair prices, direct trade, community development and environmental sustainability. We make an annual donation to the Canadian Forestry Association to plant hundreds of new trees. They say you can always tell what's important to someone by how they spend their time. Well, for over 100 years we've spent our time carefully crafting the perfect cup of coffee. And we've done so for one reason - because in today's busy world, when all the stars finally align and you find yourself with some time just for you, that's when you deserve the very best. That's why Me-time is Melitta time.